Sometimes, finding your passion means thinking like a kid again. I spent much of my childhood outside, climbing trees and searching under rocks for bugs. I loved spending time in nature and reading books about the environment. I grew up trying to protect the environment, volunteering at a nature center in high school and cleaning up forests. However, during my undergraduate years at Indiana University, I found a love of writing and travel, and my focus went from the environment to international communication. I graduated and took a job as a healthcare writer, but was unsatisfied. I had many interests but couldn’t figure out what my passion was. At work, I was assigned to write about environmental sustainability in healthcare, and as I researched I felt giddy with child-like excitement. It hit me – my passion was environmentalism. I quit my job and went back to school, receiving my Masters in Environmental Policy and Management in Fall 2016. One fact that stood out to me in my studies was that many times, children that are introduced to environmentalism at a young age care more for the environment throughout their lives. With my background in communications, I knew I could funnel my passion of environmentalism into education. 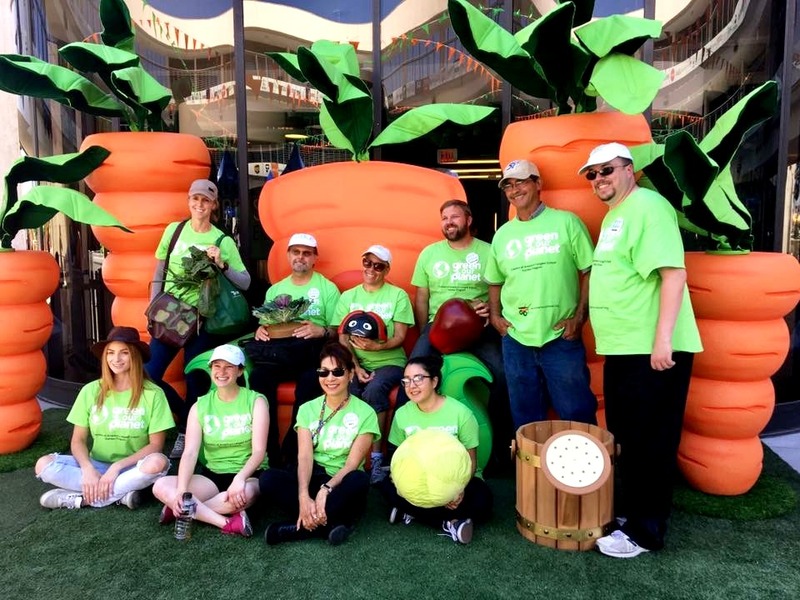 My job search led me to Green Our Planet, a nonprofit that raises funds for sustainable projects and builds teaching gardens for Las Vegas schools. I began volunteering a few days a week, researching grants and communicating with volunteers. It was exciting to see the inner workings of a small nonprofit that has such a wide impact on students in Las Vegas. 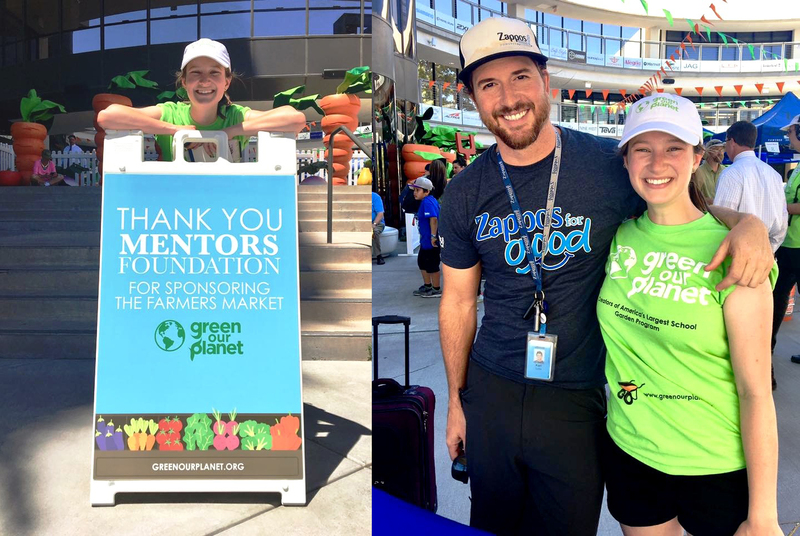 With the support of Mentors Foundation, I was offered an internship at Green Our Planet. The opportunities that gave me evolved into a full-time position at Green Our Planet and my job duties expanded. As I dive into the nonprofit world, Ciara, my mentor and co-founder of Green Our Planet, has been there to guide me and answer all the questions I have. I couldn’t have asked for a better start to my career or a better staff to work alongside. I am in charge of coordinating volunteers, garden builds, and grant writing, a skill I am especially excited to hone. I am also coordinating two major events, Green Our Planet’s 4th Annual School Garden Conference and Green Our Planet’s Student Farmers Market, which Mentors Foundation helped sponsor. 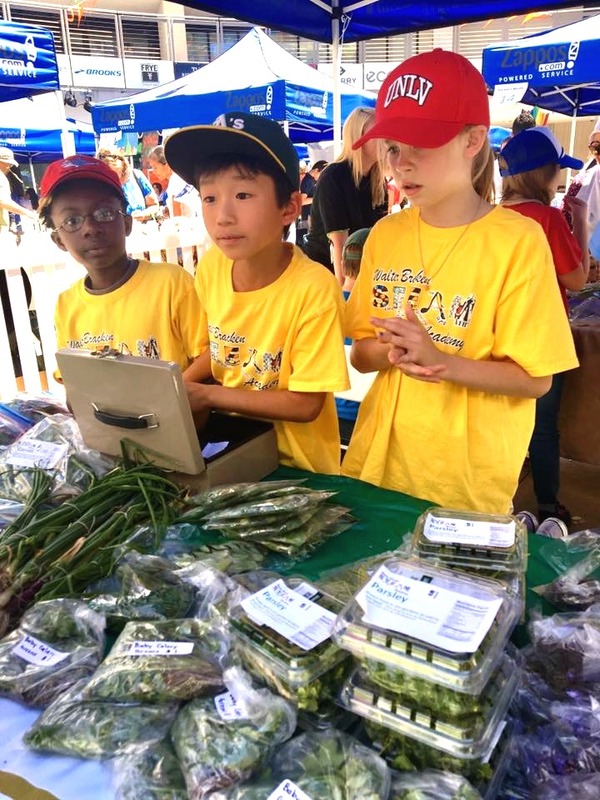 At the Farmers Market this past spring, 300 students from 30 schools sold their fresh produce to the downtown Las Vegas Community. It was the largest student-run Farmers Market in the nation, and it was incredible seeing these young entrepreneurs interact with the public! It warmed my heart to see the direct, positive impact I can have on future generations through non-profit work. The schools also loved the Farmers Market, and I will now be planning it as a biannual event! I am so thankful for the Mentors Foundation, Green Our Planet, and Ciara for making this possible. I can’t be more excited for this adventure!